ICS, SCADA, NERC Compliance... the industrial sector of today faces major challenges in terms of cybersecurity to protect and defend its systems against cyber attack. In an age where IT and OT are converging, a threat to ICS is a threat to production, finances, and even public safety. - What threats are the Industrial sector facing? - How can these challenges be overcome to enact robust security practices across all IT and OT systems? Meeting the ever-increasing array of IT security regulations can be intimidating, but failing to comply risks severe penalties. Can you afford to leave your most critical resources unsecured from insider threat and cyber attack, or to face millions in fines for non-compliance? Privileged Access Management (PAM) streamlines your organization's compliance with cybersecurity measures including GDPR, the NIS Directive, PCI DSS, HIPAA, and many other state- and industry-level regulations. Learn how you can tackle these standards with a simple all-in-one PAM solution for robust IT security compliance! You've seen it all before. Your third-party provider needs to manage certain IT systems, so you grant privileged access. Your hybrid cloud infrastructure mixes new and legacy systems that are a hassle to coordinate. Your files are missing or something is wrong, but you've got no visibility over who changed what. PAM is here to save the day! In this webinar, we'll show how a robust Privileged Access Management solution can resolve these 3 common security challenges, and many more by streamlining and controlling privileged access, passwords, and sessions for complete oversight of all IT infrastructure. IT security is crucial for the Transportation industry, whose businesses rely on complex, hybrid IT infrastructure. The consequences of a hack or data breach could be catastrophic, resulting in financial losses, reputational damages, and even physical injury. This webinar will present the benefits of PAM for the Transportation industry, illustrated by real life case studies. Privileged Access Management (PAM) delivers robust, comprehensive IT security through access control, session monitoring, and password vault working in tandem to protect your most sensitive assets and ensure compliance with all cybersecurity regulations. This webinar offers organizations an easy guide to navigate the complex regulatory landscape which they are in by managing privileged users and sensitive access to strategic resources. Digitalization has touched on almost every part of the business, affecting companies’ employees, stakeholders, as well as their daily operations across all sectors of activity. Along with digitalization arose major cybersecurity issues, leading to numerous mandatory regulations which keep evolving and increasing as our uses and approach to technology change. This growth in regulatory changes often overwhelms organizations which need to become more flexible to comply quickly and simultaneously to different mandatory controls and requirements (GDPR, HIPAA, PCI-DSS, SOX, NIST SP800-171 etc.). This 45-minute webinar is constructed as a guide to help organizations navigate the complex regulatory landscape they are in by managing privileged users and sensitive access to strategic resources. Zeigen wir Ihnen, wie die Lösung WALLIX Bastion die privilegierten Zugriffe und Accounts der industriellen Kontrollsysteme und der SCADA-Systeme schützen und deckt die Anfälligkeiten auf, die bei der Verknüpfung zwischen den Kontrollsystemen, den ITUmgebungen, dem Internet und den Remote-Benutzern auftreten. Privileged accounts can be some of the most serious threats your company can face. As more and more processes are digitalized and activities externalized, the number of accounts accessing critical and strategic information escalates, extending the cyber threat across continents. Meanwhile, companies and individuals are becoming increasingly aware that any data or server can be accessed with the right privileges; it is therefore imperative to know who accesses critical resources, as well as when and why they do so to avoid any leak. By monitoring the users holding the keys to the kingdom - the privileged users, we are able to know what exactly happened on a system at any given time and how. Whether malicious or negligent, incidents caused by internal or external threats can be avoided quickly if visibility over the IS is restored. Session monitoring and recording dissuades malicious or negligent users while offering real-time alerts, traceability, and post-mortem analysis. Discover how some of the most dramatic cyberattacks to date could have been prevented had there been a Privileged Access Management solution in place to protect and secure target systems. Achieve regulatory compliance and secure your strategic assets by protecting critical systems and sensitive data with Privileged Access Management! 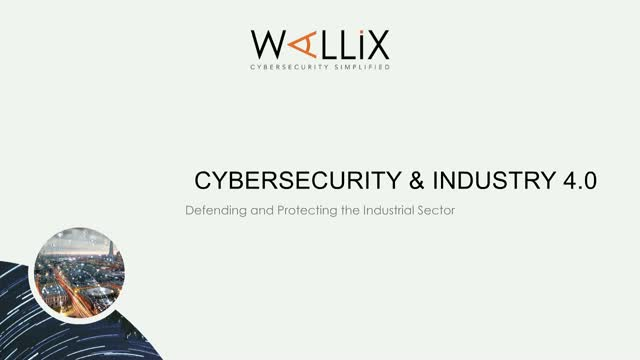 As part of WALLIX’s commitment to protect organizations’ success and renown against the cyber threats they face, we welcome you to the Bastion Broadcast Channel. Subscribe and join us for educational, participative, and engaging webinars about the best ways to tackle today’s cybersecurity challenges.